She is a mother of two active sports kids, a youth basketball coach, and is married to a marathon runner. Whether your son or daughter is playing hockey for the first time or a veteran travel player, it is important to have the right size ice hockey stick. Many times hockey pro shops and sporting good stores are staffed by non-hockey pros. Since it is very difficult to control an undersized or oversized stick, the length of the stick must be correct for your player’s size. A stick is an expensive piece of hockey equipment, so it is helpful to know how to size it yourself, in case an experienced sales person is not there to help you. You do not want to get talked into buying that cool stick with the Crosby, Lidstrom or Zetterberg curve just because your player has aspirations of going pro and winning the Stanley Cup. 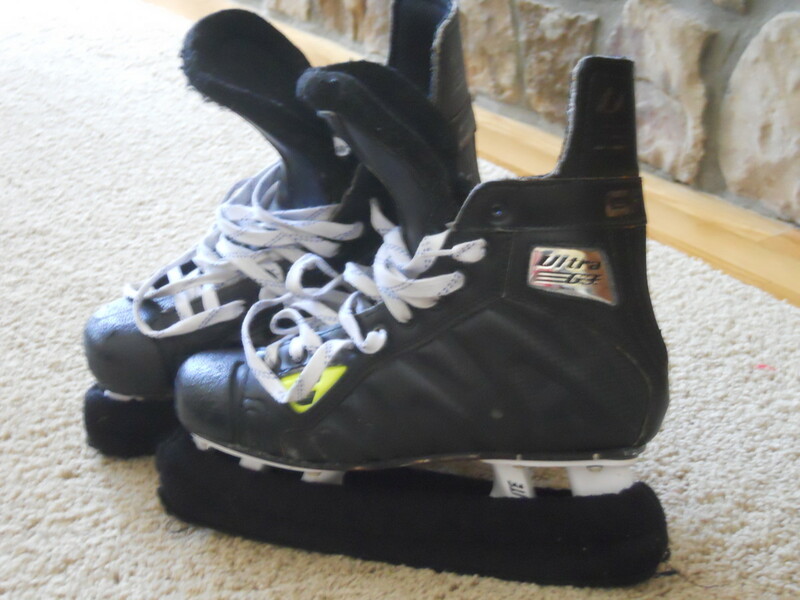 First, when customizing an ice hockey stick, your hockey player needs to be wearing their skates with hockey socks. Second, place the toe of the stick on the ground by the skater’s feet. This is the tip of the blade part of the stick. See diagram for more details. Third, the very top of the shaft of the stick should come between the tip of the nose and the chin. 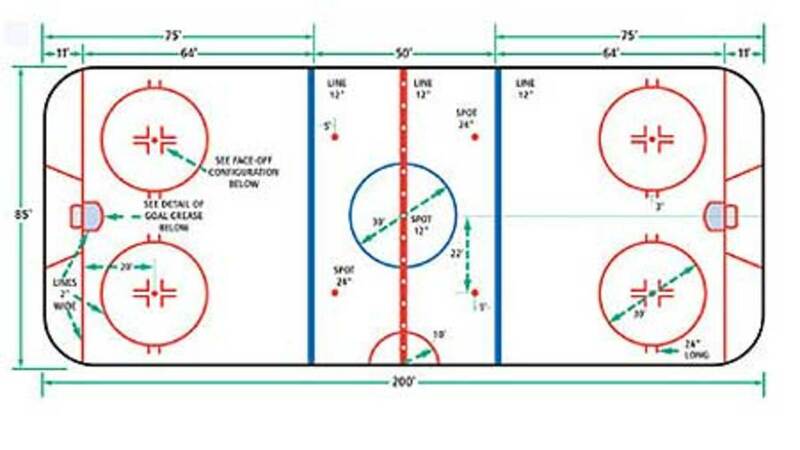 In this range, it enables the player to maneuver the stick more easily on the ice. If the stick is too long, the player will not be able to get a good shot off. If the stick is too short, it will force the player to hunch over, but more importantly, they will lose power and reach. Fourth, if you purchase a stick from a hockey pro shop, they can trim the top of the stick so it is customized for your player’s height if needed. 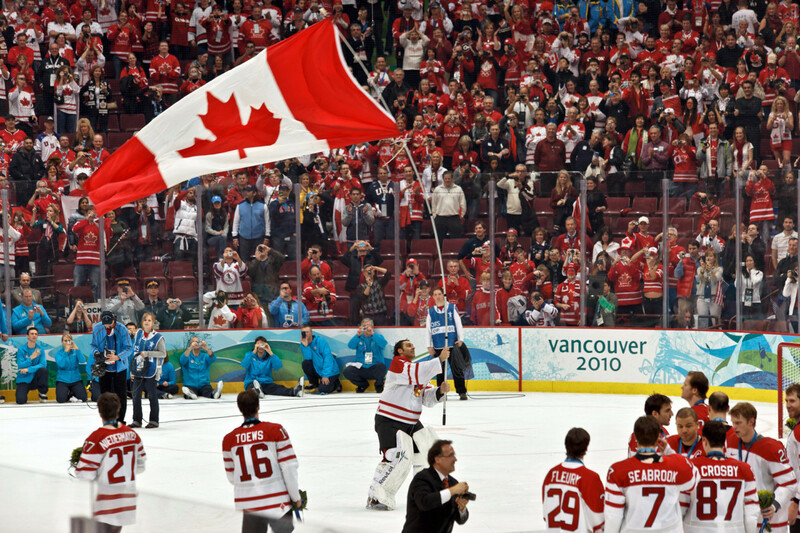 Most hockey sticks come in three basic sizes: junior, intermediate and a senior length. Junior sticks are generally 46-53 inches long, intermediate around 54 inches and senior sticks are usually 56-62 inches long. 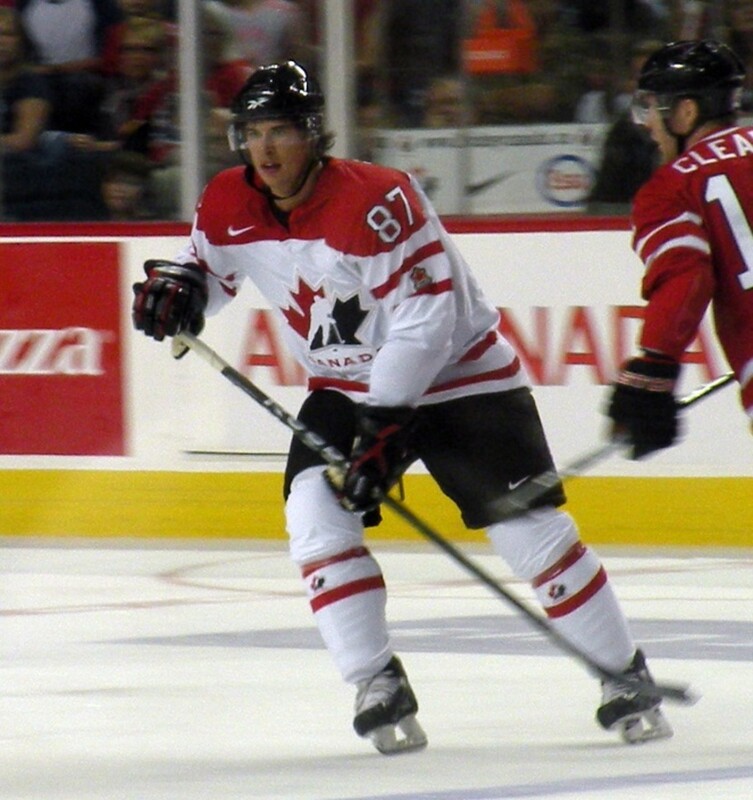 Offensive players usually have a slightly shorter stick for better puck control. Defensive players usually have a longer stick to enable a longer reach to take the puck away from an oncoming player. 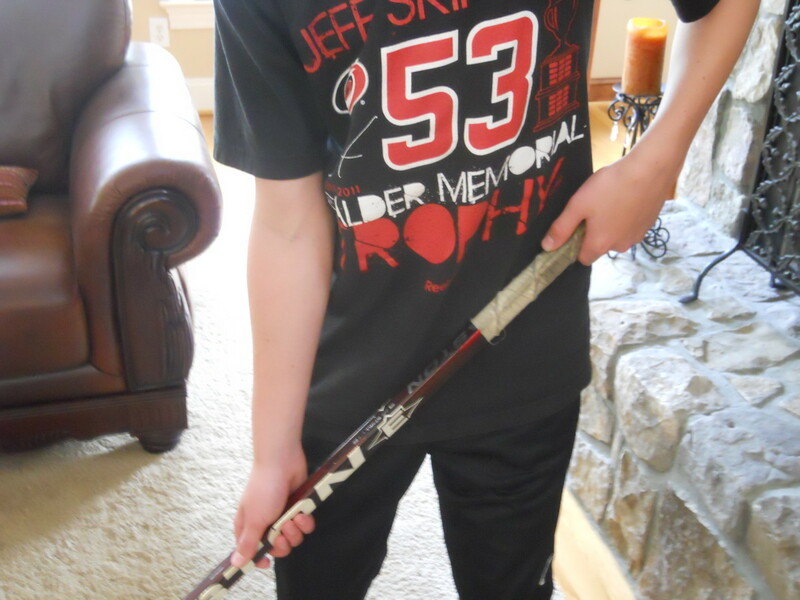 At the youngest ages, it is most important to purchase a stick that gives the players the most stick handling control because they may not know if they want to play offense or defense. Also, some recreational, or house programs, rotate the players between forward and defense at the very young ages. 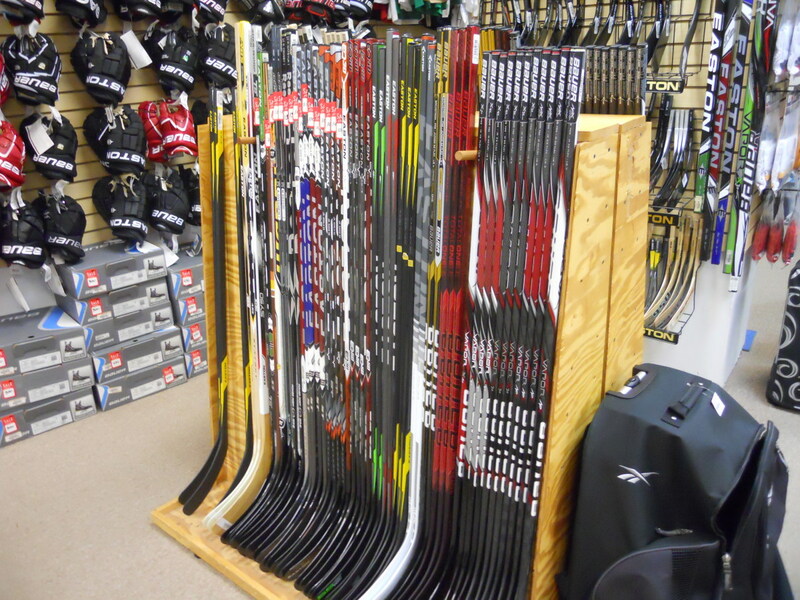 In the store, hockey sticks are defined as "left", "right," or "straight." This refers to the curve of the blade. When your son or daughter first starts playing hockey, the blade will likely be determined by their dominant hand. Whichever hand your player puts on the top of the stick should be their most coordinated, strongest hand. This gives the player more control in stick handling. If your player holds the hockey stick with his left hand on top of the stick and the right hand down the stick, then he is a right-handed shooter. 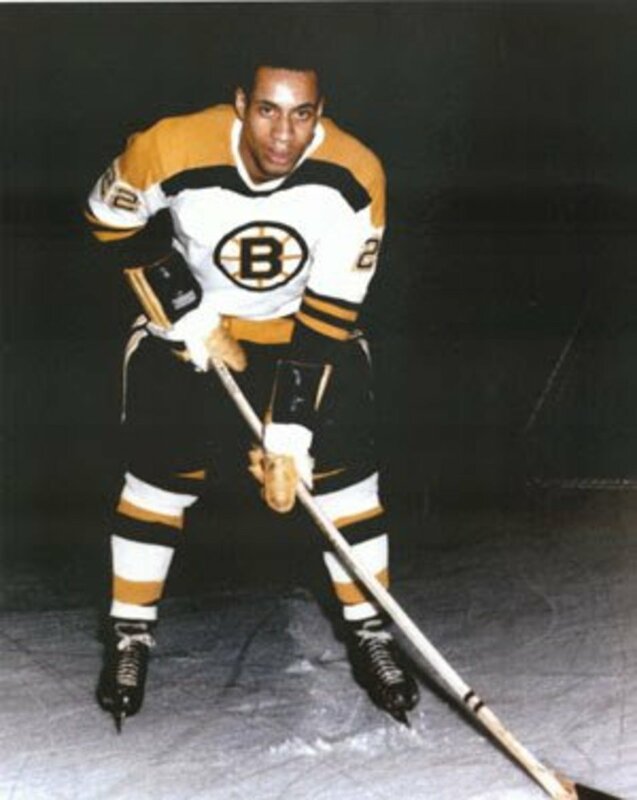 If your player holds the hockey stick with his right hand on top and his left hand down the stick then he is a "lefty." It is important to remember that the bottom hand dictates which handed stick you are using (ex: left hand down means left-handed stick). When my son started playing, we were told to make sure he used a left-handed stick because "lefty" players are more in demand. I think this was hogwash. My son is right-handed and has always used a right-handed stick. It truly is a personal preference. The bottom line is to play with hands in a configuration that feels best to the player. Sticks can be purchased with the shaft only, allowing the player to choose the blade for additional customization. A smaller blade curve is better for beginners because it enables better control for puck handling. More curve will make the puck harder to handle but it helps lift the puck of the ice to enable high shots into the goal from very close distances. Defensive players need less of a curve since typically they take long range slapshots. Hockey sticks are a big investment, so make sure you purchase rolls of hockey tape to protect your new purchase. 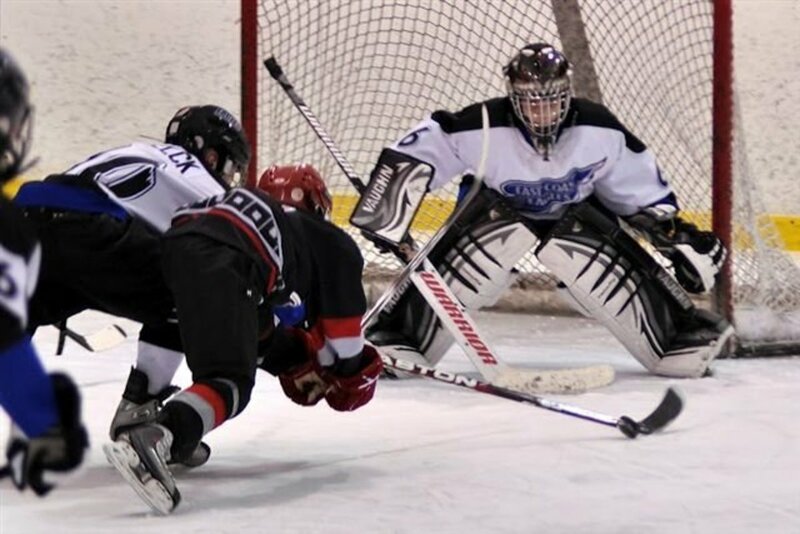 Hockey tape is a non-adhesive cloth tape that comes in a variety of colors. Typically white tape is applied to the top of the shaft for better grip handling. On the blade, a black tape is used both to protect the blade and to grip the puck. As a player advances and hits the puck harder, new tape will need to be applied to the blade after each practice. Stock up on the tape--hockey players use lots of tape on their sticks to prolong the life. 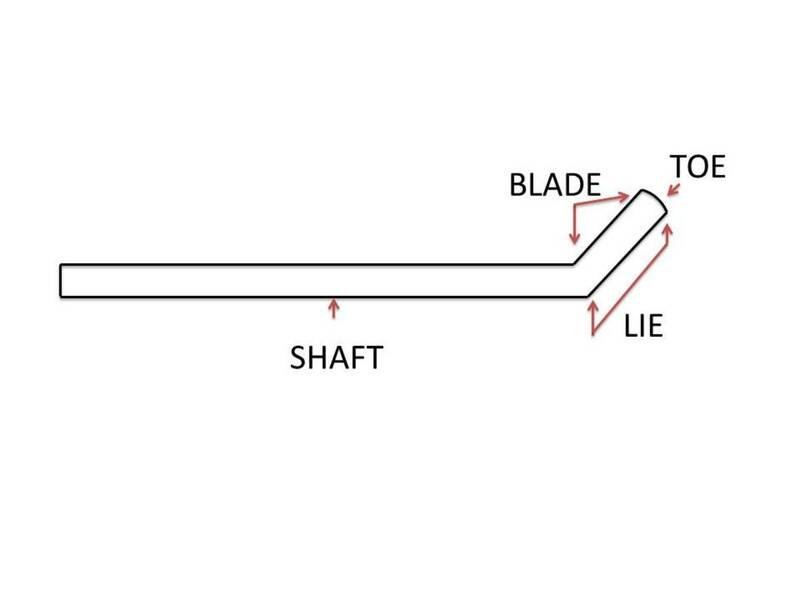 Another consideration when selecting an ice hockey stick is the stiffness, or flex of the shaft. Younger players do not need to worry too much about the flex because they are still learning the fundamentals of shooting. Sticks have a flex rating of 40-110. The higher the number, the less flex in the stick. Most youth sticks are in the 40 range; intermediate 60-75 and the pros use 110+. 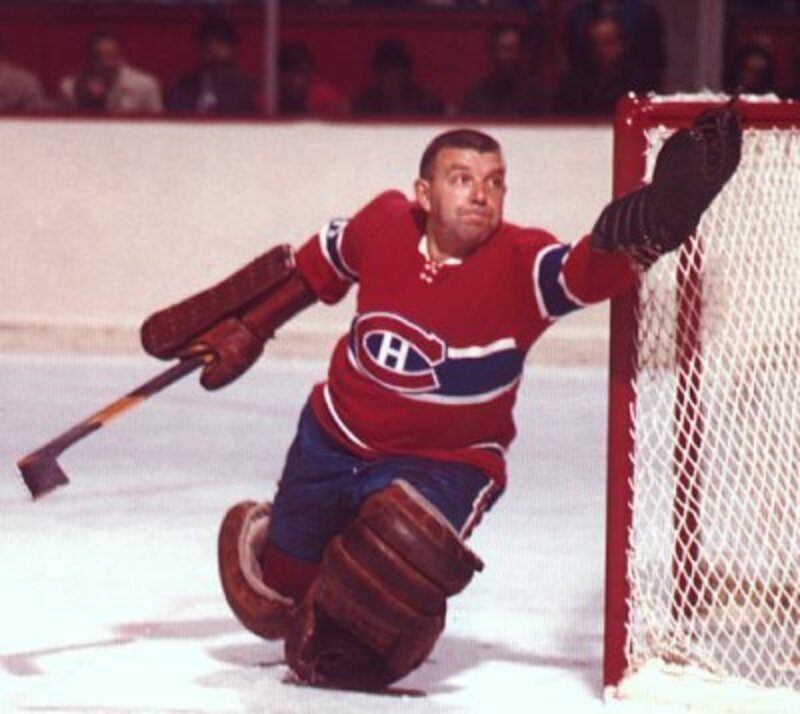 Often players overestimate their strength and select too stiff of a stick. This effects their shooting ability because you need to have flex to whip the puck. Selecting a stick with a player's desired flex is yet another way to customize an ice hockey stick. Just remember, as your child grows, you will need to replace his stick about as often as you do the skates. The most important rule in sizing an ice hockey stick is to take your player with you! If you are purchasing a stick for a birthday or Christmas present, place a picture of a hockey stick in a card and let your child open it; then drive your child to the hockey pro shop to make sure you purchase the correct size. Lastly, if your child forgets to bring his skates to the store, just make sure the stick measures to the bottom of the nose for a defenseman and to the upper lip for a forward. There are many additional ways to customize a hockey stick as your player advances in size and skill level. For several years, the basic configurations written here will suffice. Haha sportsfather! Isn't that the truth. My son always wants a stick longer than he needs. 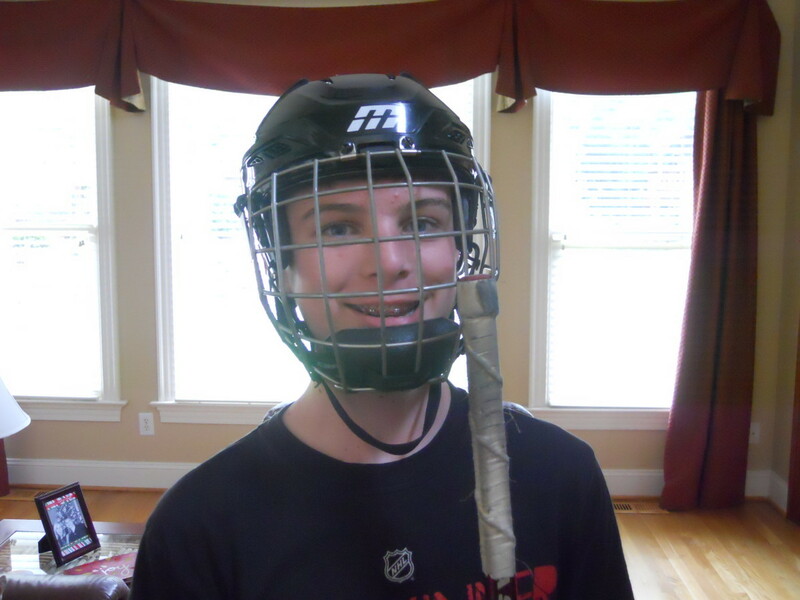 We let him get one a little longer since he is a defenseman, but not as long as what he thinks he needs. Great info! It hurts my back watching kids play with sticks that are too short and don't fit correctly. Thank you angela_michelle, seh1101 and bappyhalder for checking out the article and your kind comments. I hope your favorite team is doing well in the NHL playoffs! Interesting article! I never thought about an offensive vs defensive stick, but it definitely makes sense. This is very informative and very helpful.